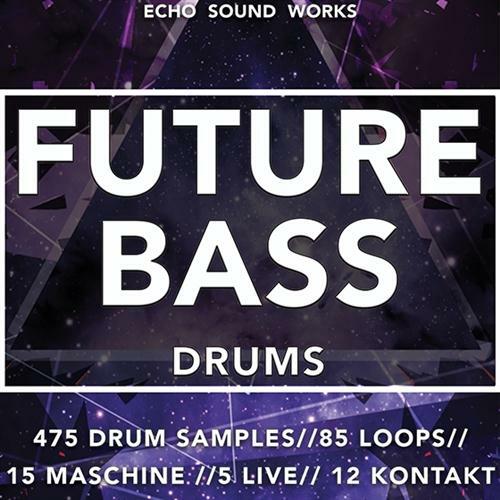 Echo Sound Works Future Bass Drums WAV ABLETON LiVE RACKS Ni KONTAKT MASCHiNE | Free eBooks Download - EBOOKEE! Posted on 2016-08-19, by manhneovn. Echo Sound Works is proud to present one of the most detailed drum sample packs ever created for Future Bass. ESW Future Bass Drums comes with 450 one shot samples for Future Bass, 85 Drum Loops, 12 Kontakt Kits, 15 Maschine 2 Kits and 5 Ableton Live Racks. The included drum loops are organized into BPM (135, 140, 150, 160, 175) and each groove is separated into individual elements like Kicks, Hi Hats, Snares etc. This makes for easy drag and drop use into any DAW and it gives you the ability to easily mix and match any of the loops. Whether you're a seasoned Future Bass producer or you're looking to get into this incredibly popular genre, ESW Future Bass Drums will fill a void. No comments for "Echo Sound Works Future Bass Drums WAV ABLETON LiVE RACKS Ni KONTAKT MASCHiNE".